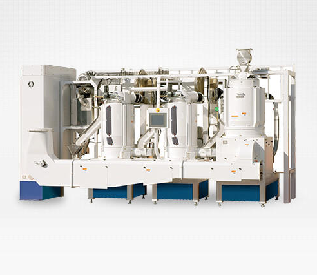 The Satake range of vertical abrasive rice whitening machines incorporate the most advanced techniques of vertical milling and has been proven to be superior to similar machines in rice mills throughout the world. The versatility of the Satake machines for milling rice of all degrees of whiteness with the minimum brokens makes it the ideal machine for modern rice mills. Read More.. 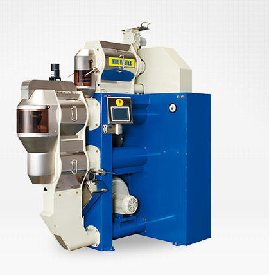 The “state of the art” milling chamber produces evenly milled rice using very low pressure, thus producing higher yields with fewer brokens while still effectively removing bran streaks. Read More.. This unit uses a proprietary rice milling system based on a combination of abrasion and two types of friction. Milling degrees can be changed to deliver optimum rice milling performance across many varieties and applications. 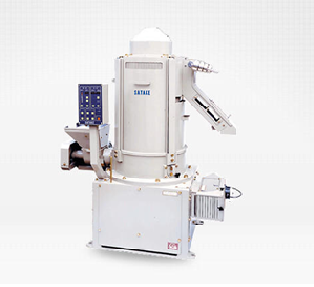 High milling yield and low temperature rice milling are key features of this rice milling system. Read More.. This rice whitener can produce small quantities of many varieties of rice. Residue remover discharges rice automatically. 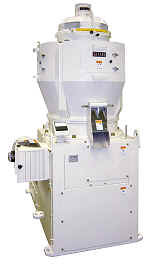 Rice inside the machine is discharged with air when rice milling finishes. This prevents contamination when changing materials. Read More..